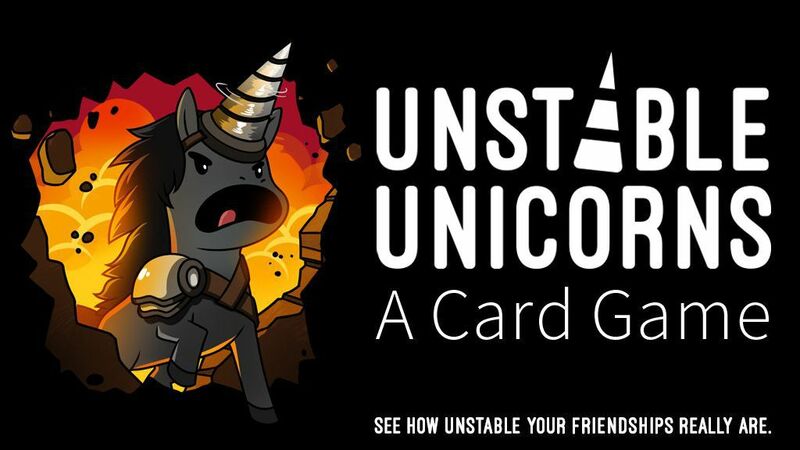 Unstable Unicorns is a hand management card game with heavy take-that mechanics. 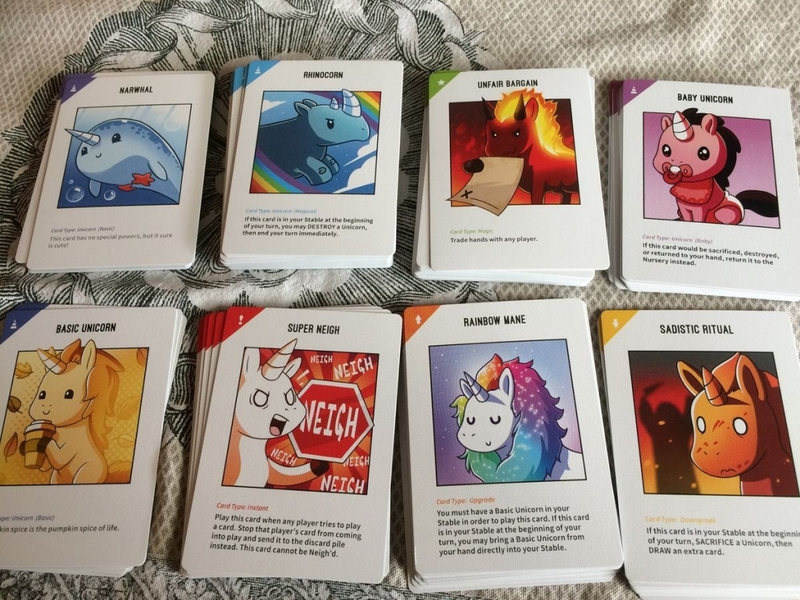 The objective for all players is to be the first to build an army of 7 Unicorns, while everyone else is doing their absolute best to destroy them with everything they’ve got. The gameplay is about as straightforward as you can get: Draw a card and Play a card. The fun and strategy of the game comes from the cards themselves. 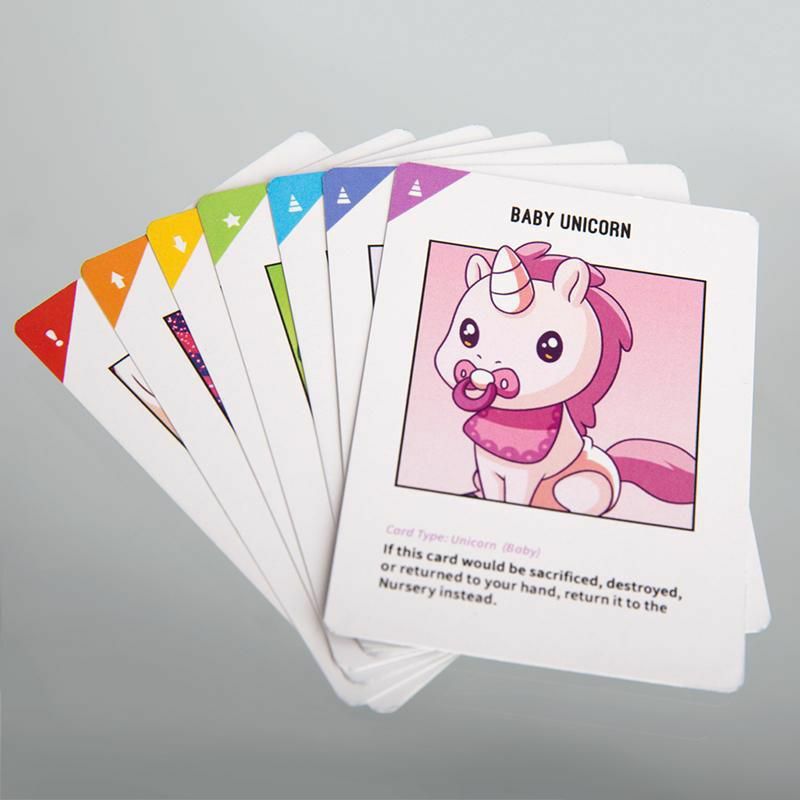 Each player has a Stable with their Unicorns and will play Upgrades and Downgrades to affect their own Unicorns and their opponents. Playing Magic and Instant cards have all manner of wild effects. Even Unicorns come in a variety of different types. Everyone starts with a Baby Unicorn, which can never be destroyed. If a Baby Unicorn would be destroyed, it is instead sent to the Nursery. Basic Unicorns have no inherent abilities, but make the the bulk of your Stable and Magical Unicorns come with some pretty wild powers. How could you even wanna hurt these li’l punums? 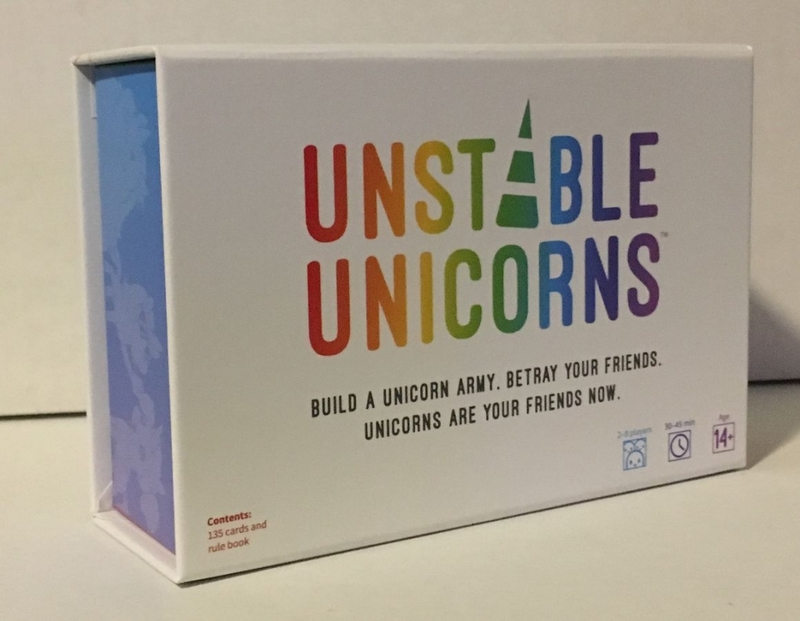 The game boasts that it’ll “Test the stability of your friendship” so get ready to bask in the glorious frustrations of your friends every time you destroy one of their favorite Unicorns.